Crossovers get a lot of attention on the roads these days. Infiniti could use that kind of attention. But not just any crossover will do. Only one that's packed with plenty of "firsts" to stand out from the crowd will turn heads. 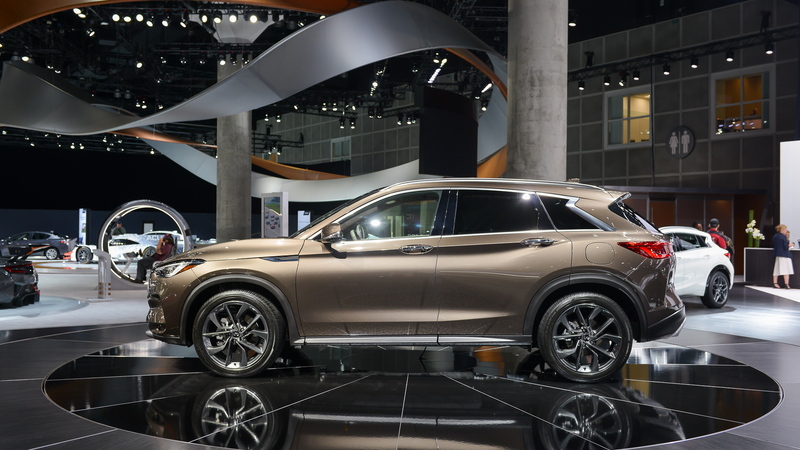 The highlight reel for the new 2019 Infiniti QX50 reads like an engineer's dream. 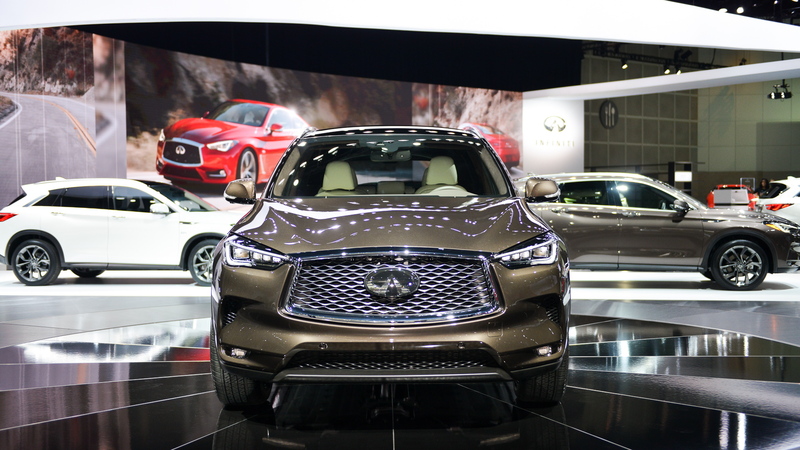 There's a new front-wheel-drive platform, Infiniti's first semi-self driving tech, and a new, highly-advanced variable-compression engine to maximize fuel economy and power. We like Infiniti's current design direction—all right, it's really pretty, and the 2019 QX50 is no exception. There's new, upright sheet metal inspired by the larger three-row QX80. Unfortunately, the new platform demands a departure from the last version's gorgeous rear-wheel drive shape. Inside the interior features an asymmetric design with controls angled towards the driver. For the tech-centric customers there’s not one, not two, but three screens on the dashboard, and the interior is chock full of interesting materials all meshing together including wood, metal, suede, and leather. Under the hood is really interesting. 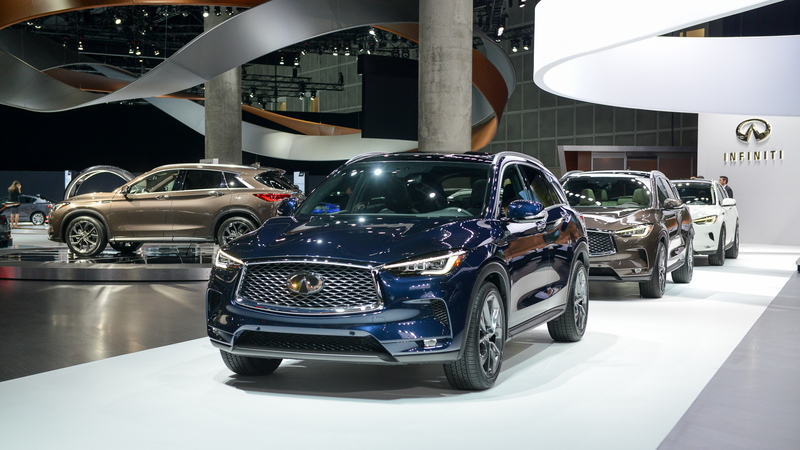 This will be the first vehicle powered by Infiniti's variable compression engine, a 2.0-liter turbocharged inline-4 with mechanical wizardry. It can continuously raise or lower the reach of each piston to transform the compression ratio for better power or fuel economy—whatever you need, folks. The result is 268 horsepower sent to the front or all four wheels via a continuously variable transmission and up to 27 mpg combined. That's more than 30 percent better than the outgoing model. 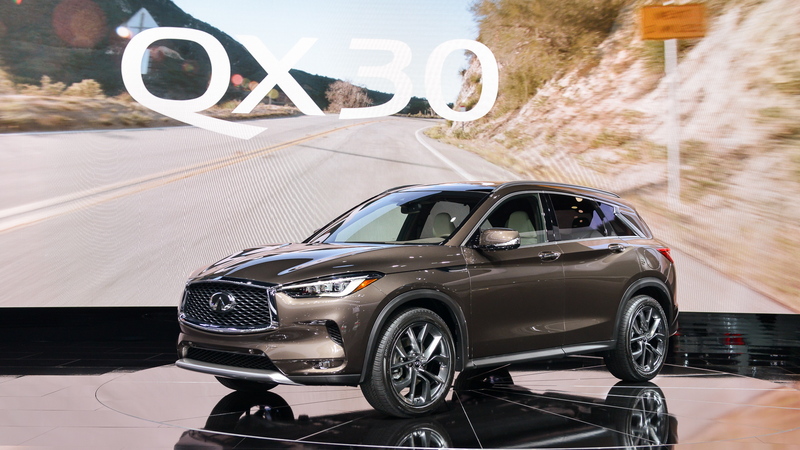 QX50 buyers will get their first brush with ProPILOT Assist, the Japanese automaker's semi-autonomous driving aid. The system can handle acceleration, braking, and steering during single-lane driving on a highway. 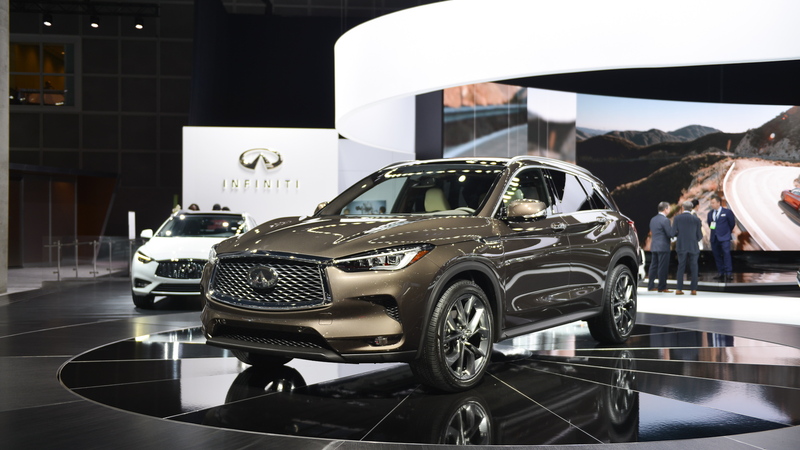 Infiniti will release pricing closer to the 2019 QX50's launch in 2018.